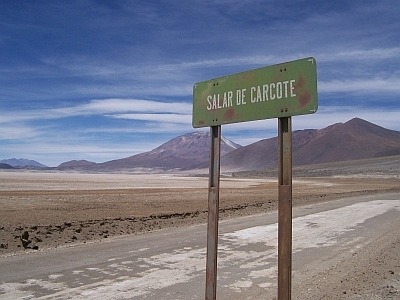 About 60 km North of San Pedro, we arrived at our destination, the Salar de Carcote. 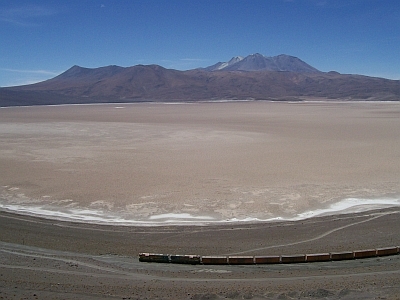 The Carcote is a salt flat that covers over 100 square kilometers and all that remains of an ancient lake! Extensive background information on the Carcote is available here. 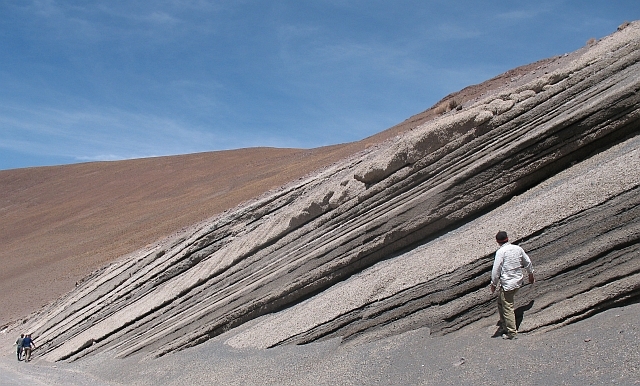 We came there to examine an amazing layered fall deposit from either Aucanquilcha or Ollagüe. 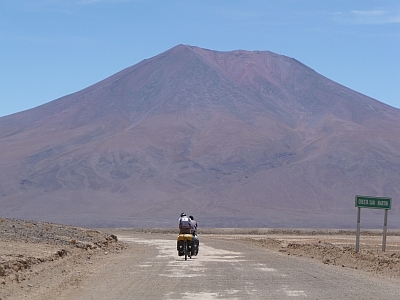 While there, we ran into the two most masochistic bikers on the planet!